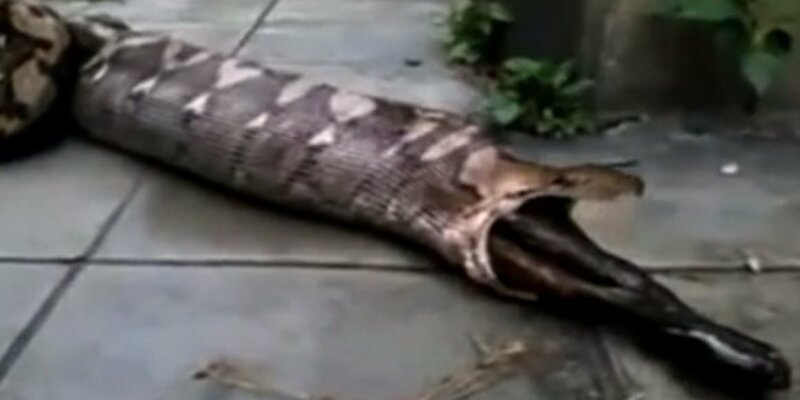 In a street of Bangkok, passers-by watched a snake that had swallowed a dog and grabbed this video so we can see this weird thing. It is a shocking sight. A huge python had swallowed a dog, but because the dog’s size was larger than it could be handled by it, the python was forced to pull out before the digesting the corpse in order to reduce the mid-weight dog.